How to Change Download Timeouts in Internet Explorer? It is quite frustrating to get timeout errors when you are downloading something from the Internet. In most cases, you will restart the downloading. Is there any other way to avoid this errors? 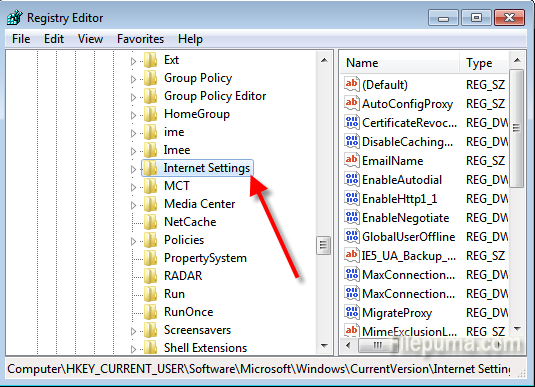 This article will show you through changing the settings to avoid the occurrence. Step One: Click “Start” button at the left bottom of the task bar and type “regedit” into the search bar. Press “Enter”. 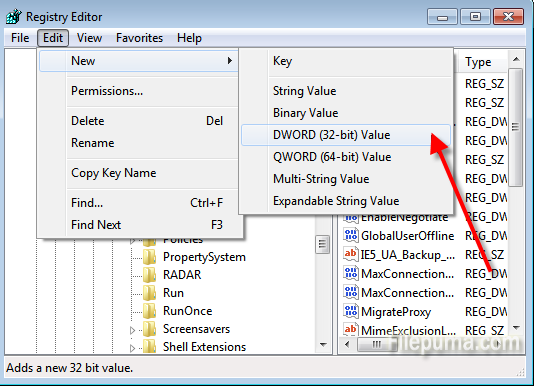 Step Three: Click “Edit” and select “New” in the list and then choose “DWORD Value”. Step Four: Name the DWORD file “KeepAliveTimeout” and click “Enter”. Then double click the file name to set the time value. Then click “File”>”Exit” to close the registry editor.